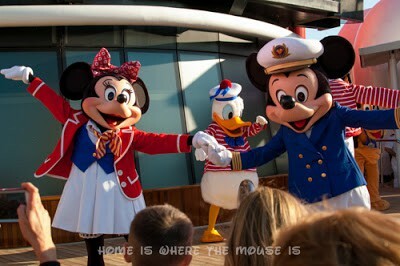 Home » Travel » Disney Cruise Line » Disney Cruising 101 | Which Cruise Should You Choose? Disney Cruising 101 | Which Cruise Should You Choose? Welcome to this month’s Blogorail Blue Loop. 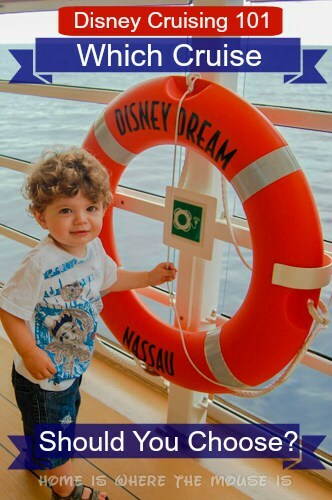 Today we are sharing what you need to know to start planning your Disney Cruise. The first step in planning your Disney Cruise Line vacation is picking a cruise. With four amazing ships visiting a variety of cruise destinations throughout the year, this is no easy task. 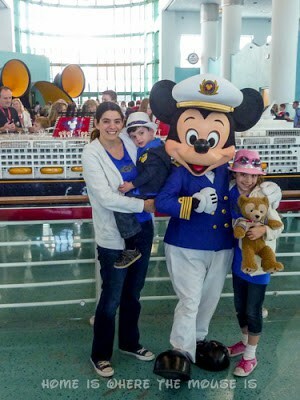 Back in 2012, we were planning a Disney cruise vacation not just for ourselves, but for our extended family as well. This included nearly every age range, from infants to teens to adults, with many first-time cruisers. We needed to find the perfect cruise for everyone, and we think we did. The first decision we made in planning our cruise was deciding on when to go. Disney Cruise Line itineraries are released about 18 months in advance, so knowing when you want to cruise can help you plan ahead to get the best rates, which is typically right when the itineraries are announced. When you cruise may be determined by a number of factors, but the main factor for us was finding a time that everyone was available. With kids in school, this meant a holiday or summer break. Ultimately we settled on a summer cruise. This gave everyone the flexibility to plan their trips around the cruise, allowing for different travel options and being able to add time on before or after the cruise to extend the vacation. Where your cruise departs from is an important factor. Disney Cruise Line has several home ports for its cruise ships, but some of these are only used at certain times of the year. If you have a specific time of year in mind, like we did, then you can check to see what ports each ship will be sailing from at that time. The convenience of getting to and from the Departure Port can be a big factor. When planning our 2012 cruise, Disney Cruise Line did not have any sailings from New York, which would have been incredibly convenient for us.With no choice but to travel to a port, we opted for Port Canaveral because it gave us several itinerary choices to choose from, and everyone was experienced with traveling to Florida from our many trips to Walt Disney World. Cruise itineraries consist of length and destination. Where does the ship go? How long will the trip take? Disney Cruise Line offers short cruises (3-4 nights), medium-length cruises (5-7 nights), long cruises (8-13 nights), and really long cruises (14+ nights). Generally speaking, the shorter cruises are more budget-friendly, but the longer cruises give you more time to enjoy the ship and various ports of call. The really long cruises are usually used to reposition a cruise ship from one Departure Port to another. That’s important to keep in mind because you would not get off the ship in the same port you boarded. For our 2012 cruise, we opted for a 4-night Bahamian cruise. We felt it was the best combination of destination and length for our traveling party. It was one of the more affordable cruises, and the shorter length also eased the concerns with some of our first-time cruisers of handling being at-sea. The ports of call included Nassau, Bahamas and Disney’s private island: Castaway Cay. The 4th night also gave us a built-in day at sea to enjoy the ship without feeling pressured to get off at a port of call. 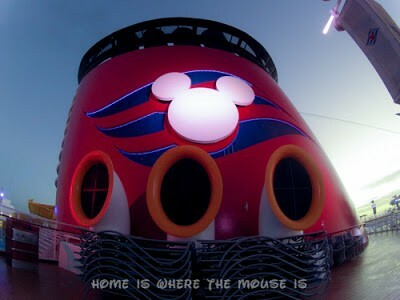 Disney Cruise Line boasts 4 incredible ships: The Disney Magic, Disney Wonder, Disney Dream, and Disney Fantasy. 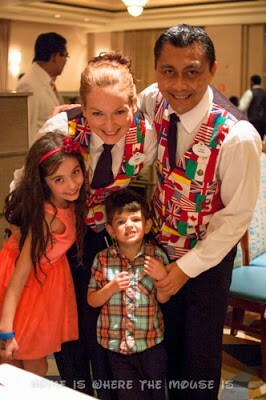 To date, we’ve sailed on 3 out of 4 DCL ships, and they’ve all been AMAZING! At this point in the process, if you’ve narrowed down the when, where, and how long, then your choice of ship might have been made for you. In 2012, once we had narrowed down everything else, the Disney Dream was the only ship that met our requirements. If not, perhaps you might find yourself choosing between ships. For what it’s worth, there isn’t a bad choice in the bunch, but each ship is unique in some ways. The Disney Magic and Disney Wonder are older and smaller than the Disney Dream and Disney Fantasy, which means they carry less passengers. You could look at it as there being a little bit less ship to explore, or less people to possibly be in your way. 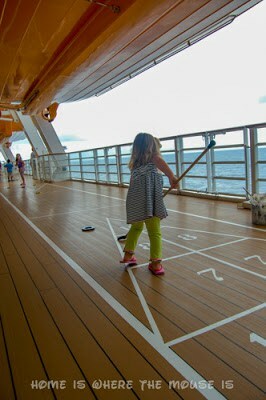 The Disney Dream and Disney Fantasy have some high-tech flourishes that were not available on the earlier ships. Interactive features such as the Mid-Ship Detective Agency and Crush at the Animator’s Palette restaurant come to mind. The Disney Magic recently went through a re-imagining that gave it some newer toys, like the Marvel Avenger’s Academy in the kids’ club and the Aqua Dunk waterslide. The Wonder, for now, remains the more classic ship, with slightly less flair. But the service on all the ships is outstanding. For us, we might be swayed to choose the Disney Fantasy for our next cruise simply because it’s the only one we haven’t sailed on yet. That’s providing that all the other factors fall into place for that to happen. So which cruise would you choose? Leave a comment to let us know! 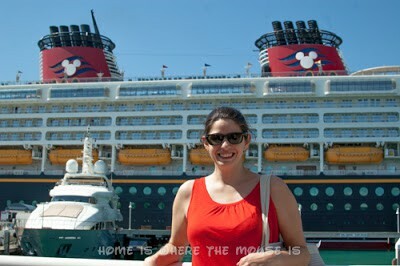 1st Stop – Home is Where the Mouse Is | Disney Cruising 101 | Which Cruise Should You Choose? Thanks! We started out with the short 3-night, then a 4-night, and then a 7-night. Each cruise leaves us wanting MORE!! Have a great cruise! It will be here before you know it! We have a seven night cruise booked this year and a back to back on the Wonder out of Galveston in 2016 after the probable date of her reimagining. For us, the most important factors are convenience in accessing the ports. If we can drive to the port, that's one more day on each end of the vacation that we can spend on the ship rather than in transit. We love all of the ships, but the classics are our favorites. Nice!! Convenience is a major factor. Being able to drive takes a lot of pressure off with the uncertainty of airlines keeping to schedule. We've never done a back-to-back. I'd like to try that sometime. Enjoy your cruises!! I'm still thinking about a 2016 anniversary trip – it would be our first cruise and our first vacation sans children. We'll see. We'd definitely start small – with the 4 night Bahamian cruise – I wouldn't be picky about the ship though. 🙂 They all look pretty fabulous to me. You can't go wrong with the ships. A cruise would be a great way to celebrate an anniversary! Our 2012 cruise was to celebrate my parents' 50th anniversary, and the crew went above and beyond to make it special for them! This is a good article telling the things to think about before a cruise. I wish I had read this before we did our cruise. 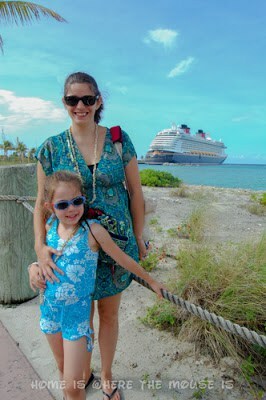 We just went on the one cruise I reviewed on the Disney Dream for 3 days. We had fun even though I did get seasick. We are going on a cruise in Jan. to the southern caribbean which we chose for the destinations. It sounds like the ship (I believe the Wonder) is the least modern but that won't matter since we wanted to go to certain islands. The Wonder may be the least modern, but it's still a fantastic ship and the service sets Disney apart in our opinion. You'll have a great time! We'd love to go back to the southern Caribbean with Disney. (did it once on Royal Caribbean). That would be amazing! Have a great cruise!! I have to admit. Picking the cruise is the hardest part. But once on board that is all behind you! I know! I wish we could do them all this way we don't have to choose! Could you imagine that?? We currently have a 4-night booked on the Dream, but like you, we want to hit up the Fantasy after that. I think it would be nice to try the 7-night cruise and see more of the ship! That's awesome, Naomi! The longer cruises definitely give you more time to explore and experience different themed nights and menus at the restaurants. Have a great cruise on the Dream!